Popular as just a Kemerton, the Auto-Sleeper Kemerton XL 2019 model has done a great replacement job. The Auto-Sleeper Kemerton XL 2019 model, is built on the Peugeot extra long wheelbase. The longer Peugeot Boxer van conversion, really does work well. Providing that extra front lounge area. Also, that is an ideal place to just sit and relax or dine in. With the rear bathroom creates a private changing room. 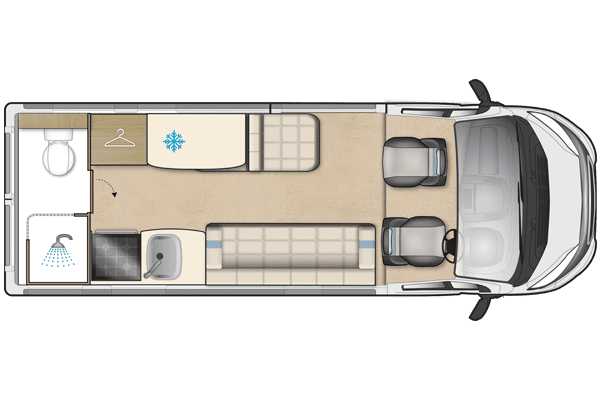 The layout of the Auto-Sleeper Kemerton XL 2019 model follows the lines of other successful Auto-Sleeper van conversions. In fact, the Kemerton XL has become the benchmark end bathroom van conversion. 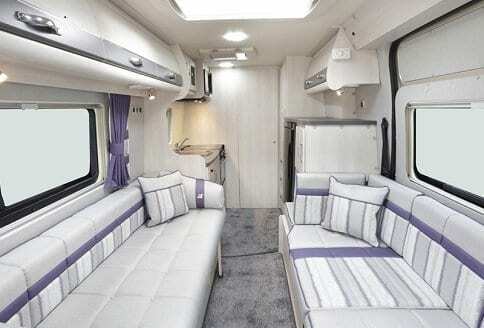 The great thing about the Auto-Sleeper Kemerton XL 2019 model is that it just got bigger! Also, having the large rear washroom with separate shower and toilet. In addition, this is a private changing area as there is so much room. 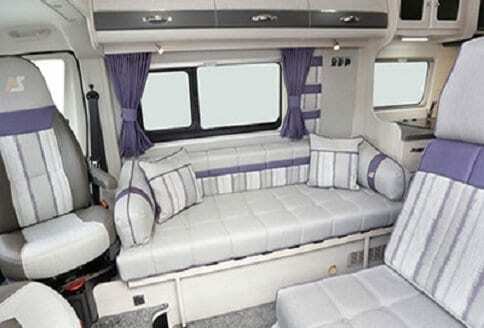 Auto-Sleeper Kemerton XL comes with outstanding luxury. 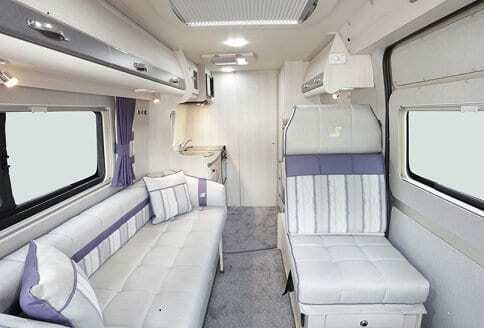 Auto-Sleeper Kemerton XL 2019 model has all the style and detail in the designs. This comes from Auto-Sleeper made the original Auto-Sleeper Kemerton. The layouts and designs, really do work. Also, customers may differ on the layout that they choose. However, anyone looking for an end bathroom layout, needs to looks no further. The space using the longer wheelbase really does work well. In fact, the space at the back also provides an ideal changing area. Van conversions, are now popular with different people, able to adapt the use. Downsizing or up sizing they work well. An ideal second family vehicle. 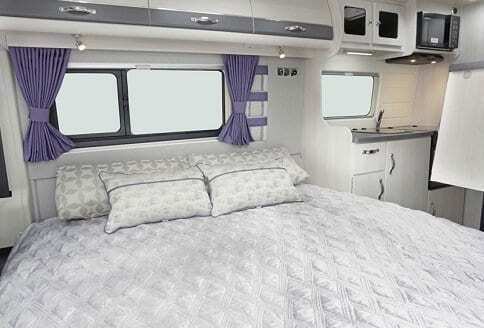 Perfect if you want to downsize, from a large coachbuilt motorhome. Keeping that motorhome feel is an important factor. Also, the way people view these conversions, your very own hotel, on wheels! Go where you like, when you like to, be it a short break or long touring holiday. Anything is possible in an Auto-Sleeper Kemerton XL 2019 model! Would you like some help buying an Auto-Sleeper Kemerton XL 2019 model? 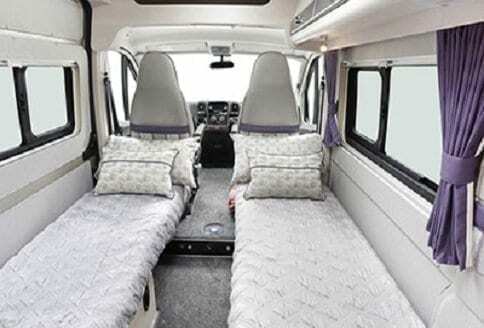 Have you been thinking of buying an Auto-Sleeper Kemerton XL 2019 van conversion? By all means, contact motorhomes campervans, should you need some help. You may be looking for a used Kemerton XL motorhome for sale? No matter, what you are looking for in buying any motorhome. As we say “happy to help anyone anytime”. Auto-Sleeper motorhomes have been with Peugeot for many years. The Auto-Sleeper Kemerton XL 2019 model is on the Peugeot Boxer chassis. Powered by the Euro 6 engine with the AdBlue technology. 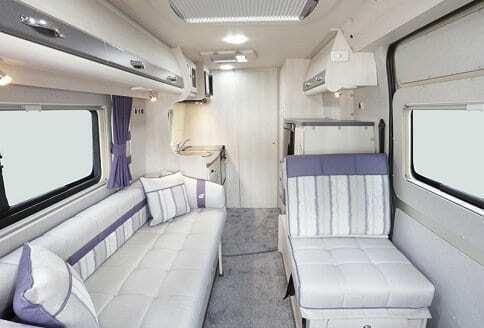 The Auto-Sleeper Kemerton XL 2019 model has grade 3 thermally insulation. 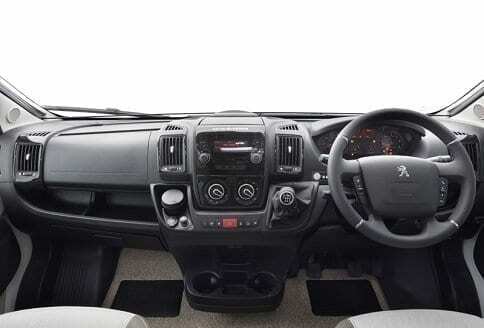 With the full Peugeot driving aid package and premium packs available. Enhancing, winter use with the ESP with active skid control. In addition, to the ABS braking and optional day running lights. Also, with the option of a Fiat package, with cab and comfort matic automatic gearbox. The cruise control, when selected in the premium pack, makes the Auto-Sleeper Kemerton XL 2019 model, an enjoyable experience to drive. In addition, stylish in appearance, with excellent airy interiors and really quality fittings. Fiat or Peugeot cab, you will be pleased either way! Near Side Single Beds: 1980 780 mm 6'06"2'03"
Offside Single Beds: 2050 700 mm 6'09" 2'04"